1.Toy Axe measures 14.6 inches which make a great size for both kids and adults. 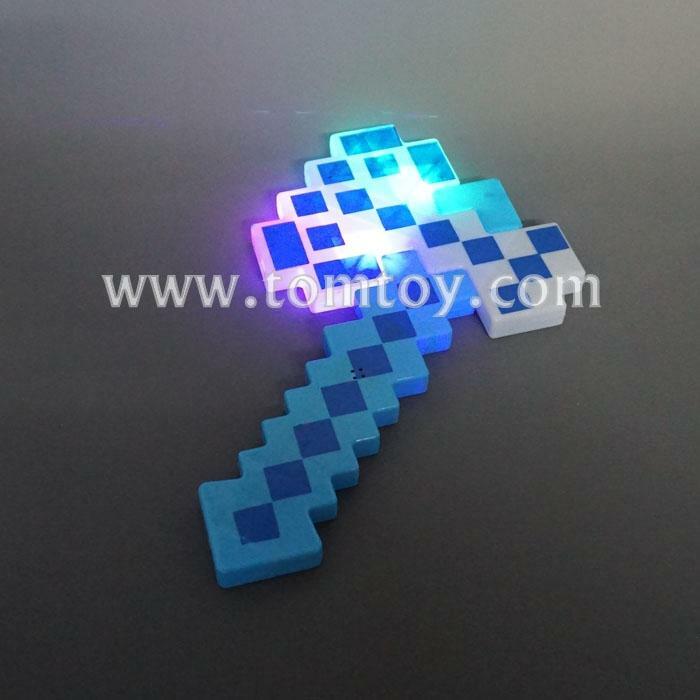 2.The Axe has 2pcs LED lights with multicolor. 3.One LED Toy Axe is packed in a polybag with 3 AA batteries included and installed. 4.Simply press the button to start the fun,it will flash with sound. 5.Strong,durable,and free from chemical odor.